Cruise ship builders have been going through a scarcity of new orders over the past couple of years, partly caused by the world recession and partly by a falling dollar against the euro. More recently, however, things have started to pick up, with new orders first from Carnival and Princess, and then from NCL and GNMTC in Libya, and now rumours of another, slightly smaller, pair of ships for Royal Caribbean. Meanwhile, at the Seatrade Med conference in Cannes last week, Carnival UK ceo David Dingle held forth on the dangers to cruising of the new IMO emissions controls while Britain's "Daily Mail" revealed an interesting statistic on on board spending. Fot the last two years, cruise ship builders have been living on their order books, with no new orders having been placed for the duration. By March this year, however, The Cruise Examiner was able to report that the most successful in landing new orders had been Fincantieri, with one order from Carnival Cruise Lines and two more of a new design for Princess Cruises. Second most successful in getting new business was STX France, hawho d managed to obtain an order for a single ship from MSC Cruises and later an order from Libya for a ship developed from that design. The news of a 139,400-ton ship for Libya's General National Marine Transportation Company (GNMTC), announced in June, has everyone guessing. The ship, apparently to be named Phoenicia, will be based on the design of the MSC Splendida class, but with about 4,000 berths as opposed to 3,500. Speculation is that she will be used as hotel accommodation in Libya at certain times of the year but no announcement has been made as to who might operate the new ship. There is meanwhile lots of speculation that MSC might be involved, especially as the design would fit in with their fleet. And more recent speculation has a second ship following the Phoenicia. In October, Norwegian Cruise Line announced that it was ordering two 143,500-ton 4,000-berth cruise ships from Meyer Werft in Papenburg, Germany. Then, hard on the introduction of the 225,000-ton Allure of the Seas, came news last week that Royal Caribbean was also considering ordering a pair of 140,000-tonners, which would in all likelihood come from the STX yard at Turku, Finland, which has recently signed an agreement for the construction of a new 57,000-ton Turku-Stockholm cruise ferry for Viking Line, with option for a sister. Amazingly, this cruise ferry will be able to carry 2,800 passengers but with a crew of only 200. NCL's order is for two new ships for delivery in spring 2013 and spring 2014. The largest passenger ships yet to have been built in Germany will cost approximately ¤1.2 billion. "Our decision to add two new ships reflects the significant progress we have made in improving our operating performance and repositioning the Company over the last several years, as well as the strong market demand we are seeing for Norwegian Epic and our other ships," said NCL ceo Kevin Sheehan. "Building on the incredible success and popularity of Norwegian Epic, we are taking the best of what our newest ship has to offer, as well as drawing on our legacy of innovation in the cruise industry, in creating a new class of Freestyle Cruising vessel." After the disagreements with STX France over the F3 class ships, of which only the Norwegian Epic was ever completed, Sheehan added that "we are excited to be returning to Meyer Werft," and that "Norwegian Cruise Line and Meyer Werft have a long history of working together. We are thrilled to continue our partnership." 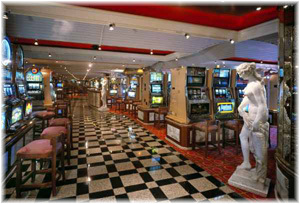 Meyer built NCL's four Jewel-class ships - Norwegian Jewel in 2005, Pearl and Jade in 2006, and Gem in 2007. These new orders will be NCL's eighth and ninth Meyer-built ships. Last week's news was that Royal Caribbean is now considering an order for a new ship of about 4,000 to 4,200 berths, smaller than the Oasis and the Allure of the Seas, for delivery in 2014. 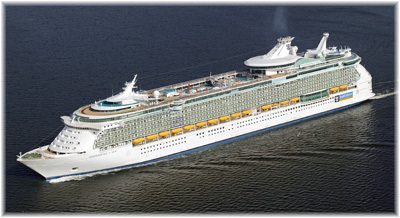 With the delivery of the Allure, Royal Caribbean does not have any further ships on order. A smaller Royal Caribbean design, possibly based on the hull of Celebrity's Solstice-class hull, which meets the latest safety regulations, would be able to visit more ports. Princess already has two new ships on order under their contract announced this May and the trade now awaits further news on what they will be like. To date, Princess has said only that they would have berths for 3,600, and that all outside cabins, making up 80% of the ships' accommodations, would be equipped with verandas. While said to be of a new design, Princess has also said that they will be an "evolutionary" development of their most recent ship, the Ruby Princess. 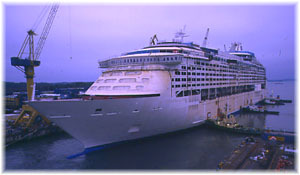 Finally, Carnival, which took delivery of the 130,000-ton Carnival Dream in September 2009, will introduce a sister ship Carnival Magic in May 2011. It has also just now laid the keel for the third of this trio, to be called the Carnival Breeze, at Fincantieri's Monfalcone yard near Venice, for delivery in Spring 2012. The Breeze will be the first ship whose interior design will not to be headed up by Joe Farcus since 1977 (The Cruise Examiner, September 20, 2010). The general trend for these new orders seems to be ships in the 130-140,000-ton range carrying 3,500 to 4,000 passengers. This is substantially larger than the 80-90,000-tonners being ordered and delivered a decade ago, but quite a bit smaller than the behemoths that have been introduced more recently. By the time these ships are all delivered there will be sixty 100,000-tonners in the world cruise fleet. And to think that back in the 1970s, the so-called seers were saying that no passenger ships would ever be built again above about 20,000 tons. New environmental rules being introduced by the International Maritime Organisation (IMO) are the "biggest single threat to the cruise industry", Carnival UK ceo David Dingle told the Seatrade Med conference in Cannes last week. The IMO-initiated regulations that will be put into place by national governments call for tough new limits on the sulphur content of fuel used by ships. By 2015, ships operating in Emission Control Areas such as the Baltic, the North Sea and English Channel, or on the coasts of North America (see The Cruise Examiner, August 8, 2009), would have to burn fuel with a 0.1% sulphur limit. By 2020, ships worldwide will have to burn fuel with a 0.5% sulphur limit, with a possible delay to 2025. Dingle said the rules were "Ill thought out and come in to play fragmented with numerous national and regional twists." He added,"It could mean that by 2015, we have to burn very low sulphur-emitting fuel, and we will no longer be able to burn the residual fuels that we put into the ships now," he said. "We will have to burn diesel, which is twice as expensive as the residual fuels we currently use. This is a badly researched and badly thought out piece of legislation." "By 2020, we might have to burn diesel throughout the industry. I'm sceptical that technology will catch up in time," he added. "The issue will be the availability of diesel. If the whole industry needed it, it would increase demand across the world by 20%, it would have a major global impact." Dingle further argued. "If cruise shipping goes completely diesel, then there will be a 20% increase in demand [for diesel fuel] with no new refinery capacity, which means that this will have a huge global impact." He also criticized seawater scrubbers which other companies such as Royal Caribbean have been testing. For example, Royal Caribbean has said that it is investing millions of dollars in making the UK-based Independence of the Seas more eco-friendly. It is looking at fitting her with an emissions scrubber, a system that would effectively capture 99% of the sulphur dioxide and over 50% of the CO2 present in the ship's emissions. Meanwhile, this is not the first time that Carnival UK has given a similar warning on the threat, and seeming irrationality, of emission controls regulations. 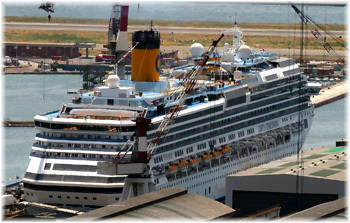 In May 2007, Philip Naylor, general manager, fleet operations, made a presentation to Cruise Europe in Bornholm, in which he said in part, "a number of detailed and comprehensive emission studies have demonstrated quite conclusively that NOx emissions from ships in port do not make any significant contribution to the deterioration of air quality in the locality and that much more positive results would be achieved through improved road traffic management and through preventing road vehicles from keeping their engines running whilst waiting in port areas. Because the debate has not been particularly well informed the interrelated complexity of these issues has not been fully grasped." Some argue that cruise ships have a lot more revenue over which to spread the extra fuel cost compared top container ships, bulk carriers and tankers, but they can also be very high fuel users when they speed along at 20 or even up to 24 knots. The main reason Seattle has managed to steal half of Vancouver's Alaska trade is that cruise ship service speeds have actually increased from about 20 to up to 24 knots, allowing them to cover the extra mileage from and to Seattle within the usual 7-day cruise duration. Also, unlike cargo ships that call at one port and then exit the ECA, cruise ships usually stay within the zone as they sail between ports. Fred. Olsen Cruise Line has already stated that it might have to stop sending cruise ships to Canada and New England because they calculate that with the new North American ECA their extra fuel cost will be in the region of $17,000 a day, or about $25 per passenger per day. At $175 for a 7-day cruise, that would be far higher than Alaska's ill-thought-out $50 head tax, which has since been reduced, but of course the typical Fred. Olsen cruise is much longer than 7 days. In addition to scrubbing technology, however, there are almost certainly potential savings in red-designing itineraries. On one Crystal Serenity cruise round Italy this autumn, for example, the ship made some overnight transits between ports at only 10 to 12 knots, and one in the Adriatic at just 8 knots. But while cruise lines can amend itineraries to cut fuel consumption by slow steaming, the range of ports to be visited can be nowhere near as comprehensive. Yet another alternative, now used by several of the more upmarket lines, is overnight stays in ports, in which case very little fuel is consumed. Could some of these methods be traded off against emissions allowed elsewhere on the cruise? However, whatever solutions may lie in itinerary modification do not help ex-UK "cruise-only" lines such as P&O and Cunard, who steam long distances from Southampton into the Mediterranean and need to proceed at high speed just to get to the Strait of Gibraltar. Ironically, so-called "fly/cruise" lines that operate from Mediterranean ports could be less affected but actually create more emissions by flying their passengers to the ship. While the Mediterranean could well become part of an Emission Control Area, the Bay of Biscay is as yet still outside such control areas. There seems to be a long way to go before an equitable solution is found to this one! A circular sent by Britain's "Daily Mail" to potential advertisers last week made an interesting revelation. According to a survey of "Mail" readers who go on cruises, they spent on average £722 per person on board ship. At today's rate of exchange that's about $1,155 each. This seems to contradict the general rule of thumb these days, however, that 25% of the cost of a cruise is in spent on board. If this were true, the corresponding ticket price to go with a $1,150 on board spend would be $3,450. The "Mail," however would only say that it's readers on average spend in excess of £1,000 (about $1,600) or less than half this level. The Cruise Examiner wonders what their measure is. Has the "Daily Mail" made an error or is there something some of the cruise lines would rather not tell us once they have attracted their customers on board? The lines have never paid more attention to increasing on board revenue. On one of the top lines, for example, there is now an Onboard Revenue Manager who reports to the Hotel Director, and through a dotted line to the shore-based Manager of Onboard Revenue. Reporting to the Onboard Revenue Manager are the managers of the casino, art auctions, shore excursions, golf, aquapunture, photos, the spa, computing, florist, port shopping and desktop publishing, with another dotted line extending down to the laundry master, activities manager and bar manager, the latter for revenue purposes only. The Onboard Revenue Manager is responsible to "optimize on board revenue generation by analyzing financial data and developing cross-marketing and sales strategies." Working with set revenue targets, the task is then to increase onboard revenue by increasing "guest participation" - what one cruise line calls their "guest experience." Nothing could be clearer - we are all "consumers." But it does make one feel a bit creepy to think that whenever a crew member looks at you they may only see dollar signs. Whatever happened to the good old purser?